Cabbage is all the rage in FrontierVille at the moment. The often derided green vegetable is this week's star crop, and in addition to being available for planting, there is a new Cabbage collection and is an integral part of a new three-part mission called 'In the Cabbage Patch.' Once you complete the mission, you will unlock the *drumroll please* 'Second Kid' mission, which was alluded to earlier this week. Below find out everything you need to do to complete this mission and the rewards for finishing each stage. 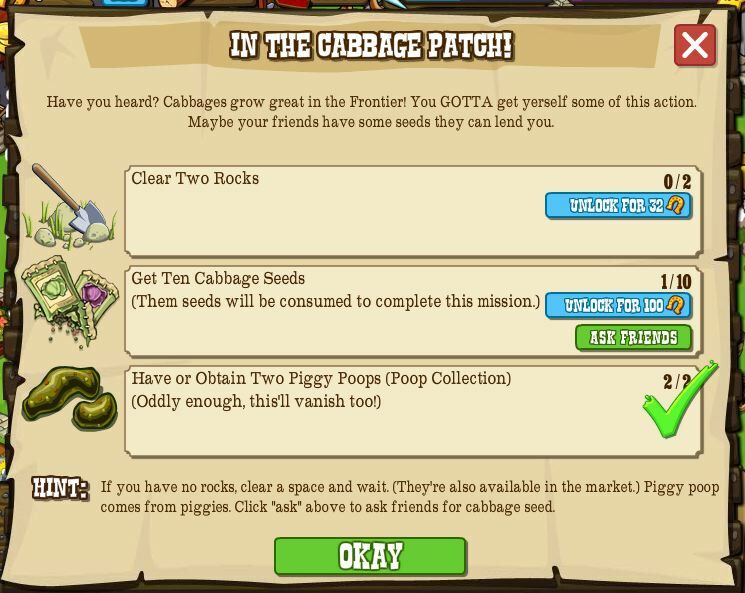 Have any tips on how to complete this Cabbage mission fast? Sound off in the comments below. Add comment.